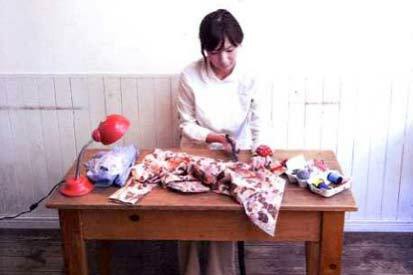 Japanese woman turning a used kimono into new household articles, following a cultural tradition called mottainai. Ever wonder why the Japanese show so much respect for food, paper, textiles, water and other resources? It’s because for centuries, the concept of mottainai has been embedded into their cultural DNA. Mottainai, literally meaning ‘essence’ is an ancient Buddhist term that translates into having respect for the resources around you, to not waste these resources and to use them with a sense of gratitude. Mottainai is closely associated with the conservation practices that we recognize in the West as the three R’s – reduce, reuse, recycle – with a fourth R added: respect. The respect practice stems from the Shinto belief that objects have souls (possibly those of one’s own ancestors) and therefore should not be discarded. For decades following World War II, Japan was a poor country. People recycled everything and wasted nothing. The word mottainai (waste nothing) was spoken in every household to warn children not to waste even a grain of rice, a scrap of paper, or a piece of cloth. Mariko Shinju’s Mottainai Grandma was written to remind the Japanese about their tradition of mottainai and its importance to their culture. You can read more about the author and her book here. It is an inspiration and a reminder to young and old, that earth’s resources are limited and to always be searching for new and creative ways to recycle and reuse. In Japan, old kimonos and made into beautiful accessories such as nuno zori, or cloth sandals, made from scraps of cloth and cord. Kimono cloth is recycled/reused in many other ways including purses, chopstick holders, glass holders and fans. 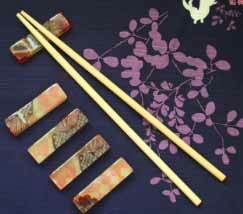 My favorite is a set of chopstick rests with kimono fabric imbedded in acrylic that I received as a gift. This sink is built atop a toilet tank so the used water from the sink is used again in the toilet bowl. My Japanese friend, Tomoko, practices mottainai in her household. She conserves water by using the toilet pictured here. 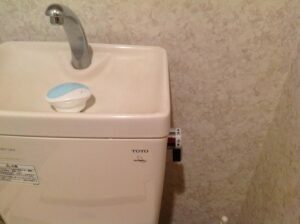 Waste water from the sink on top is used to flush the toilet below. There are also two flush handles: a small flush for liquids only and a bigger flush when necessary. She purchases only one bottle to dispense liquids and then refills thereafter. Old bath and hand towels are cut and sewn to create rags for cleaning. Her local grocery stores collect all the food that is near expiration and sell it at a highly reduced price so that it gets consumed and not tossed away. 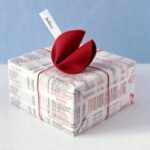 My daughter, who lived in Japan for eight years, told me that in Japan, when one receives a gift beautifully wrapped in paper, it is carefully unwrapped making sure not to tear the paper or cut the ribbon. Once you have unwrapped the gift, you carefully refold the paper and take it home with you to be reused. 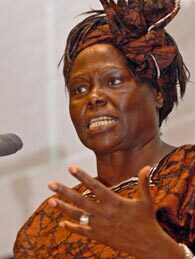 The late Professor Wangari Maathai, founder of Africa’s Green Belt Movement and a Nobel laureate, helped to bring the concept of mottainai across the globe. Tokyo’s Mainichi Newspaper Group, together with Toyota and other corporations, supports a campaign to increase the practice of mottainai throughout Japan and beyond. The campaign was championed by the late Wangari Maathai, founder of Africa’s GreenBelt movement and a Nobel laureate, who recognized the potential of the mottainai concept to inspire others around the globe in 2005. She spoke widely about mottainai in Africa, Asia, Europe and the U.S.
Want to Incorporate Mottainai into Your Life? Mary Wallace is the inspiration behind PeopleTowels. Wallace, a former science and environmental education teacher has been "living green" for years and has a deep concern for the environment and the future of the planet. She believes that everyone through small personal acts can have a tremendous impact. Prior to founding PeopleTowels, Wallace held senior management positions with both Fortune 500 and start-up companies. Read more stories from Mary HERE. Resiliency for the earth is about sustainability. Great article and reminds me of our water practice in So. California. Now in drought, the motto for toilet use is: “If it’s yellow, let it mellow. If it’s brown, flush it down.” Water in dishpans is used for the flowers. No water is run while brushing teeth. And the new washing machine can sense the load level and only fills it enough to accommodate the weight. Eileen – would that there was a way to get all consumers to instill these habits, even in areas where water was abundant. Really, why waste anything? Abundance is resilience! This article reminds me of the surge of recycled and upcycled products sold on Etsy.com and other retailers. People always ask me about my upcycled bag made from used juice pouches from the Philippines. It is similar to those made by TerraCycle from Capri Sun pouches. These eye-catching and beautiful accessories always come with a story and show one’s support for reducing one’s own waste and reusing items that would otherwise be wasted. I too practice reuse,recycle,reduce,repair,respect, redeem.ILove,respect,preserve the nature&its resources.Avoid plastic bags,carry my own cloth bags. I love this concept! It reminds me of how my grandpa would scold me if I left good food on my plate. Growing up during the Great Depression, he learned not to waste, and held on to it decades later when food scarcity was no longer a problem. I try to practice the same; buy only as much food as I need, and eat whatever I buy. I think the best way to help spread this concept is by changing how we design our homes and communities. Incentives for energy efficiency, low-flow fixtures, water reclamation, etc. can help people become more respectful of conservation by making it an everyday part of their life. I know in New York, apartment buildings can obtain a clothing drop off bin, making it super easy for residents to give old clothes new life. In the suburbs, a functional garden that grows food can replace a water-wasting grass lawn. The best method to spreading Mottainai is by practicing it and sharing with friends and family. Love your anecdote about your grandfather. I like your thinking that best way to learn these habits is at home, with family. In my home growing up, my Dad was the ‘subtle’ inspiration. (I say subtle because he didn’t impose his behaviors and beliefs on the rest of us.) He always would take the underside of used paper, cut it up into uniform rectangles, staple them together and make little pads to leave himself myriad notes with. “Pick up shirts” “Change tires!”. I have this theory that every home has a resident wastehater. In some, it’s the Depression-era Grandfather or father. In some, of course, it’s the Green Mom. and in others, it’s the 4 foot tall enviro-cop. This is a model I really wish others were more conscious of. I grew up in a household with RRR (Reduce, Reuse, Recycle) parents. You’re mentioning of the wrapping paper really reminds me of my mom on every holiday involving gift-giving. She always takes her time opening presents and reuses the paper. I always have had (since leaving the nest) an awareness of conservation, thanks to my parents. I believe sharing these concepts with friends and family is a real way of breaking the mold for people that are so used to wasting what can be reused and not thinking about there actions. We as a society model each others behavior, and I firmly believe change starts at the core, and expressing your personal beliefs upon others when a RRR opportunity arises, is a great way to share the concept! How fortunate for you to have grown up in a RRR household. Kudos to your parents and to you for continuing to conserve through generations. In addition to modeling these behaviors, how else might we convince others to adopt a less wasteful lifestyle? We were also told not to waste food or things because people or time put into create/produce them. This it is another way of showing respect as well. Correct me if I’m wrong but Mottainai feeling also came from Shintoism that people used to say there are hundreds and thousands of Gods in Japan and spirits in every single objects. Therefore treating objects with care is very important. In mythical stories or folktale there are stories about Mottainai obake (ghosts) or Yokai (Japanese spectres) that will come and get you if you waste food or mistreat things. I was very scared to waste food as well. I love this concept and wish we had a similar word and sentiment in the United States. One of the things that really resonated with me was the fourth “R” for Respect. I think that this is something that goes unaddressed in a lot of recycling and waste reduction campaigns. I think that having respect for the resources, people power, and time that went into making our products makes them that much harder to waste. I also grew up in an environmentally conscious family where we strove to reduce our waste. Like Gabriela, my family and I always reuse our gift bags and wrappings. Funny enough, a lot of my friends do too. I remember many birthdays when we would see all too familiar gift bags. It was almost fun to see who would get which reused gift bag. Reducing and recycling can be such a fun and rewarding experience, and as this article points out a truly great way to show respect. Thank you for sharing your sentiments regarding the fourth “R”. You are so fortunate to have grown up in an environmentally conscious family. One of the things that we have seen is that behavior is hard to change and habits developed in childhood tend to last a lifetime. That is why we are working with a number of youth/school organizations to help children form strong eco-habits. This is a wonderful concept. Being raised Macrobiotic by my parents, a lifestyle rooted in traditional Japanese philosophy, I’ve found the Japanese lifestyle both culturally and historically, to be remarkably green contrast to our U.S throwaway culture that seems to have accelerated most especially after the 1960’s with perpetual consumerism, artificial obsolescence, and disposability. The Japanese are naturally minimalists reducing the amount of resources used and are also resourcefully efficient with what is being used. Quality is also highly valued. Though the literal translation of mottainai is “wasteful,” it doesn’t convey the same nuances that the word implies. The concept more closely implies that it is disappointing not to extract the maximum utility out of everything used. In credit to this mindset, the highest regards are applied to resources and to the efforts in harvesting and cultivating them into goods enjoyed. The greatest potential of materials are explored, byproducts and leftovers are re-purposed, and recycling is executed whenever possible. Professor Wangari advocating the MOTTAINAI concept as a campaign to encourage this mindset more broadly was a great way to foster a more global environmental consciousness grounded on humility and respect. I believe adopting the concept of mottainai here in the U.S. would incorporate a higher respect towards the goods in our lives, promote more ethical consumerism, and positively shape our mindset to encourage more sustainable terms of thinking and innovation. In small steps, I believe we can incorporate this personally in our own households to begin with. But on the next level, mottainai can also successfully be adopted collectively if a consumption guidance system were developed from this concept. Then applied to our grade school lesson plans as an education program in much of the same way that the Nutritional Guidelines are a foundation of the Food Pyramid educational tool today, which presents these guidelines in a consumer-friendly form for early adoption. The fourth principle should absolutely be the added and the guideline groups could read RESPECT, REDUCE, REUSE, RECYCLE. 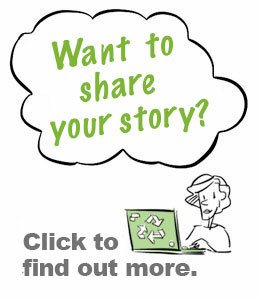 Examples could be illustrated, taught, and innovation encouraged. Institutionalizing this concept as a practice, and transforming mindset of society at influential stages of early learning. Thanks for sharing your history and understanding of the Japanese culture and Mottainai. I love your idea about incorporating the 4 Rs into the school curriculum. From our research and experience, we have found that it is difficult to change behavior and that habits adopted early in life often become lifelong habits. Love Mottainai! Where did western cultures go so wrong? What was it that caused western culture to go so far in the opposite direction while cultures like the Japanese have such a waste preventing mindset deeply engrained in everything they do? It makes me wonder, are we too far gone and stuck in our habits to ever adapt to a ‘Mottainai’ way of life? It’s essentially what we are trying to install with our ‘No-Waste Mindset’ on WeHateToWaste.com. For me, this way of life and mindset just makes sense. 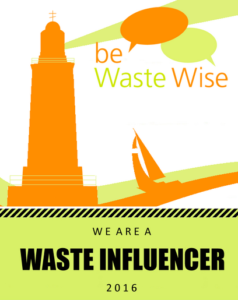 I think it’s just a matter of spreading the word and raising awareness – I firmly believe that the biggest obstacle is that people just don’t realise that their behaviours are wasteful, and half of the solution is just awakening them to things like Mottainai and the No Waste Mindset. So, I agree with Noelle – introducing this into school curriculum is a great first step! I agree with both you and Noelle regarding infusing the 4 R’s into the school curriculum. However, I believe that the No Waste Mindset must be started at home. Most children model their behaviors after their parents. How do we encourage parents to adopt new eco-habits that they in turn can pass on to their children and future generations? I am not surprised that we are wasteful here in the U.S. We have attracted a population from around the world seeking ‘land of opportunity’; the perception is that our resources are limitless. Wasting things — ‘consuming’ makes people feel successful. This was at the route of opposition and derision of Jimmy Carter’s call for everyone to turn down the thermostat. What we have here in U.S. that’s analagous to “Mottainai” is Yankee Ingenuity. The folks who settled New England had to endure long cold winters and had to be resourceful. The challenge as we move ahead: help consumers find comfortable lifestyles that create less waste/ maximize resource productivity that they would be proud and happy to live. Mottainai intrigues me as a concept. Upon learning of it, my only reaction is a fond admiration of it. It reminds me of the lifestyle of certain American families that were hit hard during the Great Depression. For instance, my grandmother, having gone through the worst of it, was forever a changed person coming out of it. While raising my father and his siblings, this lifestyle was passed on and instilled into their characters. For example, to this day my father insists on eating every scrap of meat off the bones when eating ribs or wings, tendons and all. I never understood why he’d do that when I was younger. However, when he told me the story of my grandmother and her struggles, similar to Mottainai, I took a step back had a new found appreciation for the no-waste practices. Awesome article! I knew this but not in such a deep way! This was a very enlightening article. As someone who takes an interest in Japanese history and culture, I was delighted to find that this form of waste is integral to their cultural identity. I had the opportunity to see a bit of mottainai in action during a semester abroad in France. My host mother spent several years living in Japan and brought back some of the sustainable ideas that she picked up during her time there. 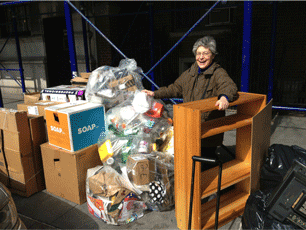 She always recycled, shopped at green markets, and never wasted food, among other things. I hope to travel to Japan one day and see mottainai in practice by the Japanese people – the world could most definitely stand to learn from them.